Some clarity now on the possible location of the Low Pressure Area genesis. In all probability the LPA would form South East of Sri Lanka as indicated in the map. As things stand there is a higher probability this disturbance may move as possibly a Well Marked Low over Sri Lanka, kiss the Indian coast at the Southern Tip and move into the Arabian Sea. 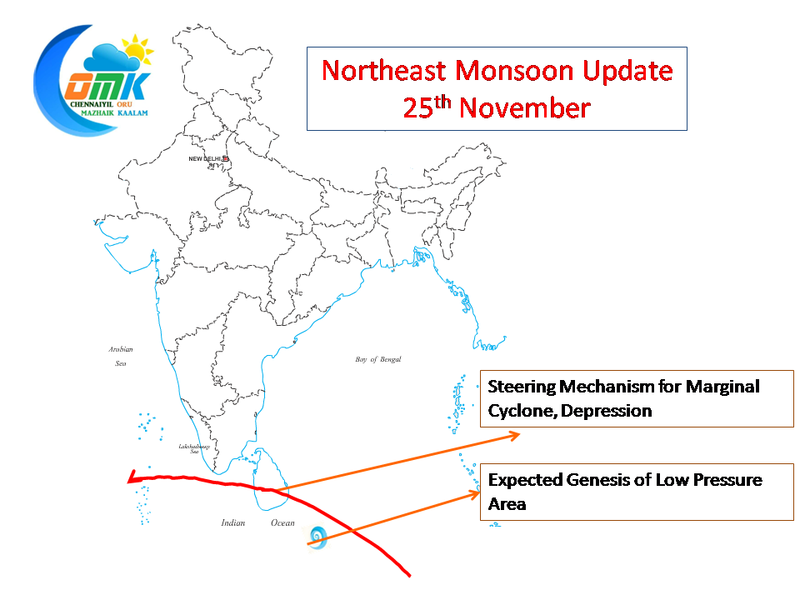 As it moves along the Sri Lankan coast and Southern Peninsular India heavy rains would occur Sri Lanka, South Tamil Nadu and parts of Kerala. 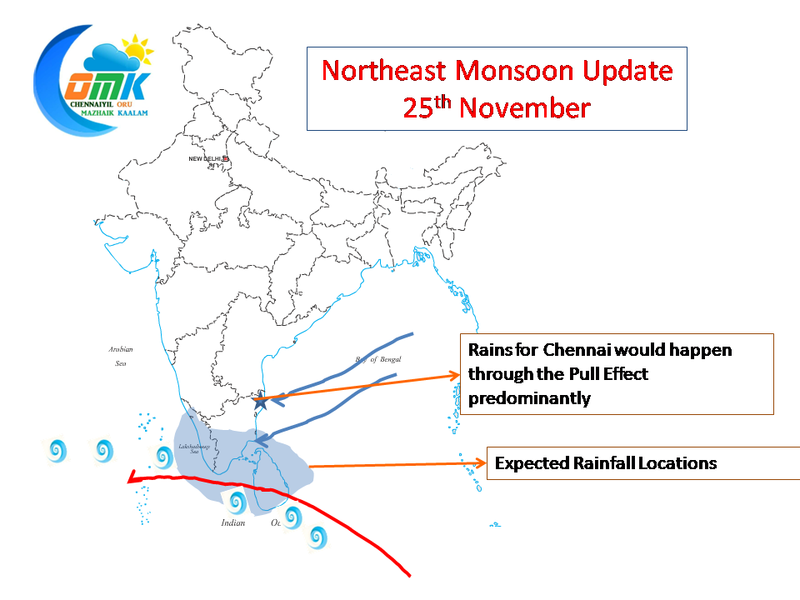 With the dice thrown for Chennai as things stand the best chance of rains would happen when the disturbance moves over to the West of Sri Lanka and into the Arabian Sea. The quantum of rains will be possibly decided by the intensity of the system as it comes out of its land interaction with Sri Lanka. 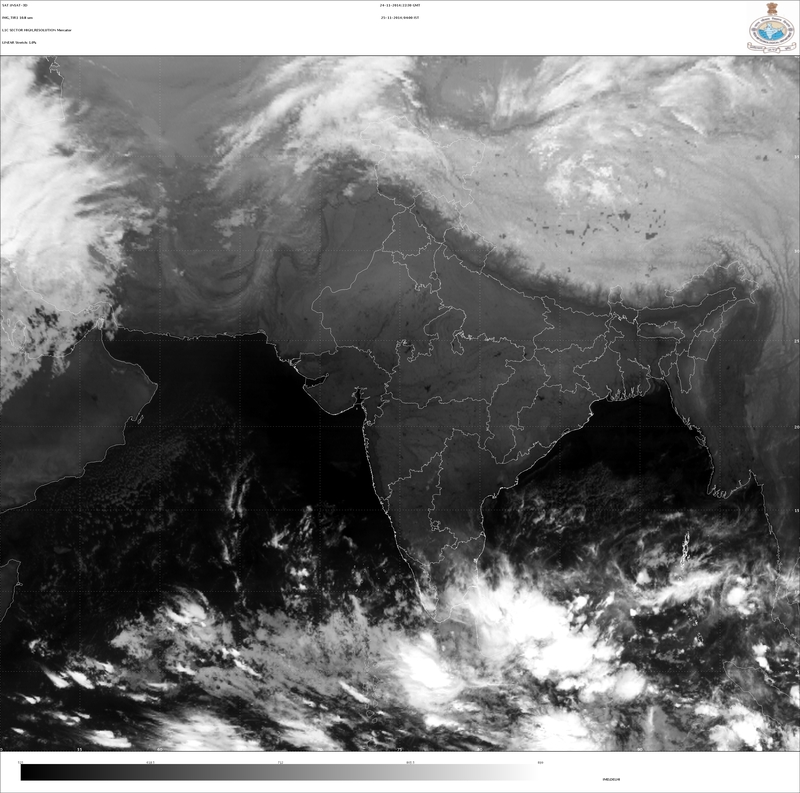 Lets not get excited, hopefully Chennai should get some decent rains from this system.